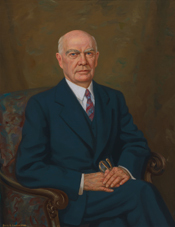 SUMNERS, Hatton William, a Representative from Texas; born near Fayetteville, Lincoln County, Tenn., May 30, 1875; moved to Garland, Dallas County, Tex., in 1893; studied law; was admitted to the bar in 1897 and commenced practice in Dallas, Tex. ; elected prosecuting attorney of Dallas County in 1900 and served two terms; president of the district and county attorneys association of Texas in 1906 and 1907; elected as a Democrat to the Sixty-third and to the sixteen succeeding Congresses (March 4, 1913-January 3, 1947); one of the managers appointed by the House of Representatives in 1926 to conduct the impeachment proceedings against George W. English, judge of the United States District Court for the Eastern District of Illinois; one of the managers appointed by the House of Representatives in 1933 to conduct the impeachment proceedings against Harold Louderback, judge of the United States District Court for the Northern District of California; one of the managers appointed by the House of Representatives in 1936 to conduct the impeachment proceedings against Halsted L. Ritter, judge of the United States District Court for the Southern District of Florida; chairman, Committee on the Judiciary (Seventy-second through Seventy-ninth Congresses); was not a candidate for renomination in 1946; retired from public activities; was a resident of Dallas, Tex., until his death there April 19, 1962; interment in Knights of Pythias Cemetery, Garland, Tex. Champagne, Anthony. Hatton Sumners and the 1937 Court-Packing Plan. East Texas Historical Journal 26 (Spring 1988): 46-49.